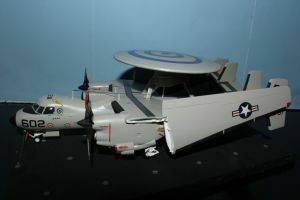 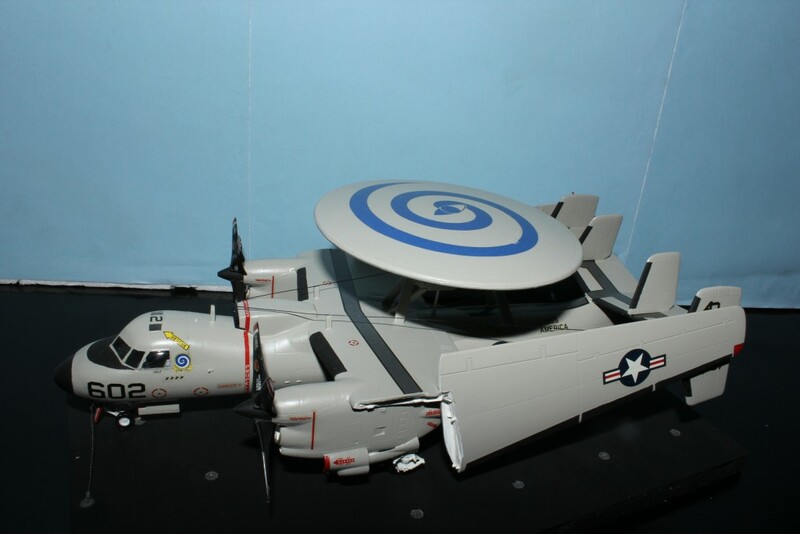 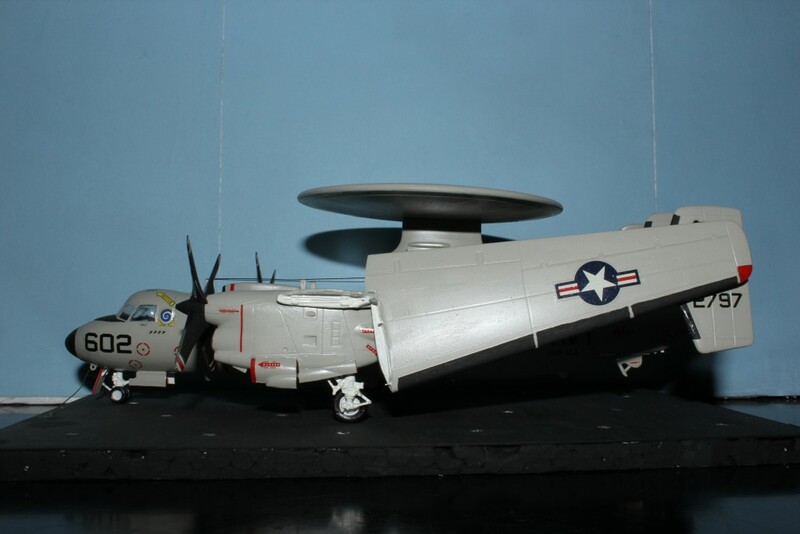 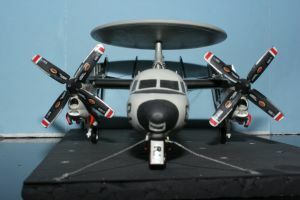 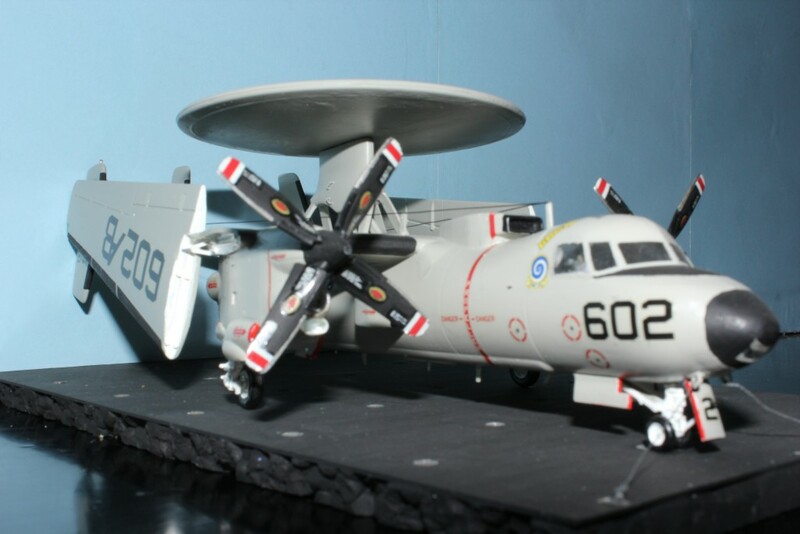 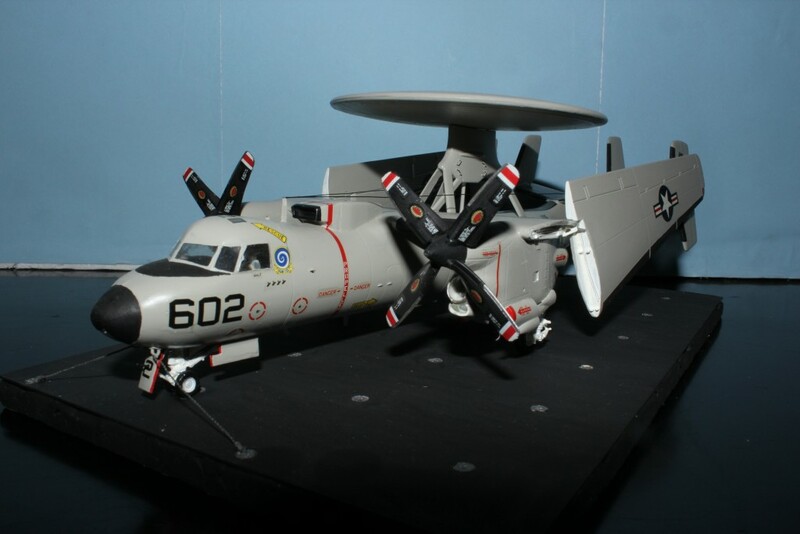 This model is a Grumman E2C Hawkeye, a twin-turboprop aircraft used on US Navy carriers for airborne early warning (AEW) activities. 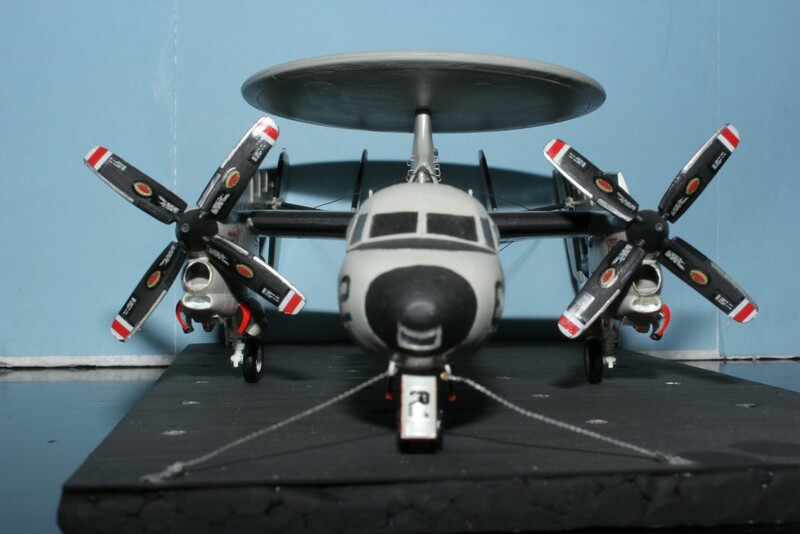 My model is based on the Fujimi kit, with decals for Carrier Airborne Early Warning Squadron 123 (VAW-123), also known as the “Screwtops“, deployed aboard the USS America. I modified the Fujimi model to display the aircraft, with folded wings, in parking position on the carrier deck.